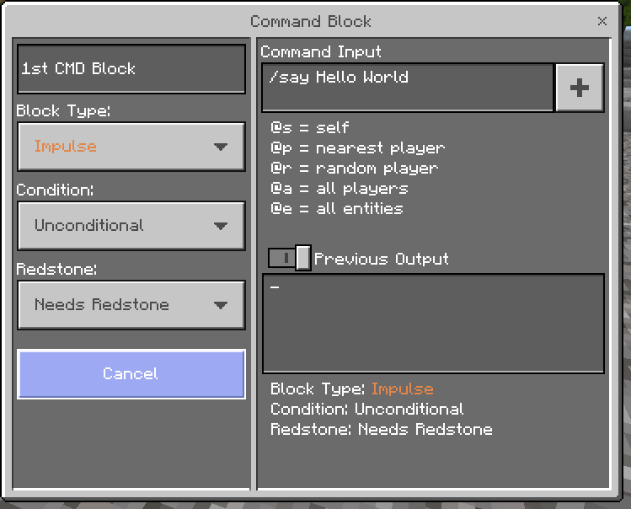 My First Command Block: Hello World. 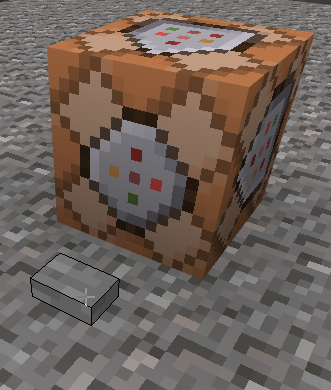 This is my first real attempt at command blocks or using Minecraft Education Edition. The first place for any real programming is 'hello world'. 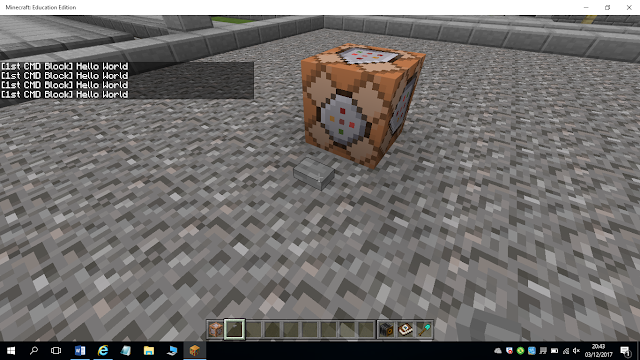 So here is my attempt via command blocks. 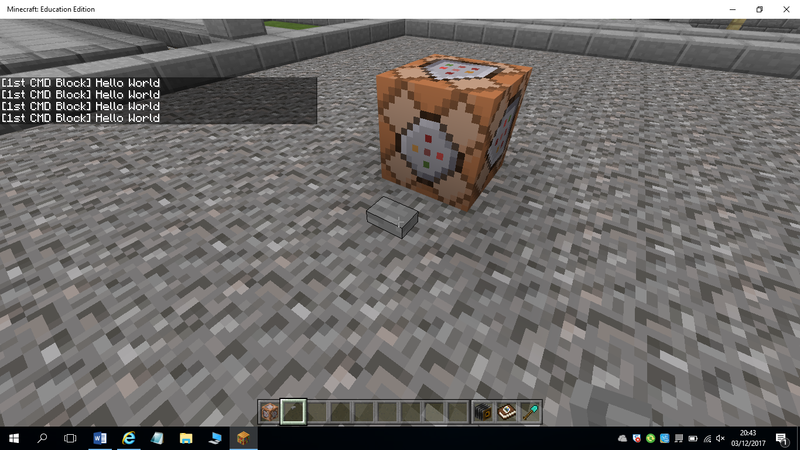 Step 5: Whack the button by clicking the right button on the mouse. You should see your message appear.